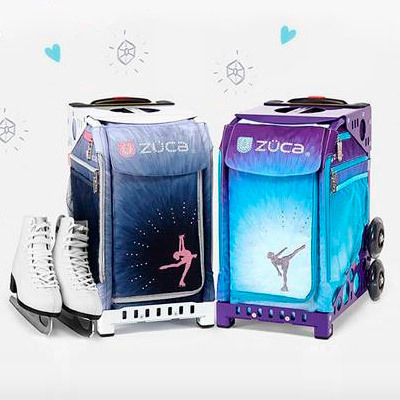 Zuca Sport Bags are unquestionably the most popular bags for ice skating. They allow skaters to safely place all of their equipment inside as well as give you chance to be creative with a multitude of designs. You can sit on top of the zuca bags if you do not have a seat.